Workers’ lives are being put at risk by a 32% reduction in health and safety inspections of workplaces, Fianna Fáil has warned. Figures released by Jobs Minister Mary Mitchell O’Connor show that in spite of the upturn in employment, between 2011 and 2016, the number of inspections fell from 15,340 to 10,460. Up to February 14 there had only been 1,136. Furthermore, the figures, released through a parliamentary question asked by Fianna Fáil Jobs spokesman Niall Collins, show that the funding for the Health and Safety Authority for safety initiatives fell by almost €500,000 from €1.776m in 2015 to €1.297m in 2016. Ms Mitchell O’Connor said most inspections are targeted at the high-risk sectors such as construction, agriculture, forestry, manufacturing, mines, quarries, transport of dangerous goods by road, or the chemical sectors. “The HSA produces a programme of work each year setting out its plan for all areas of its work, including inspection targets. The 2017 programme of work set a target of 11,100 inspections and investigations,” she said. The HSA is planning 4,000 construction-site inspections with a focus on preventing accidents involving self-employed workers and small-sized contractors. There are also 2,000 farm inspections planned. 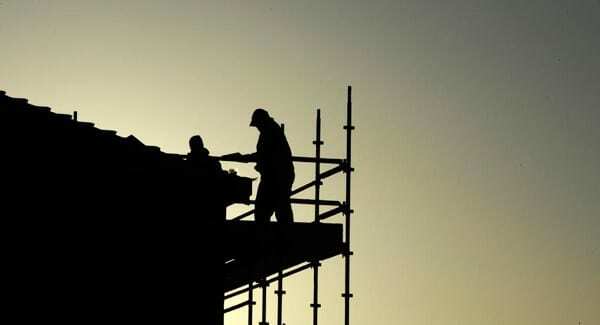 Earlier this month, the HSA said a key theme of its programme will be new and returning workers as that group has been identified by an ESRI study as being four times more likely to have a workplace injury than those with a tenure of more than five years. Mr Collins said that, as the economy begins to grow, “it’s essential to that we protect workers safety”. “In 2016, 44 people lost their lives in the workplace,” said Mr Collins. “Reducing the number of inspections gives unscrupulous employers ample scope to engage in unsafe workplace practices, and cut corners. “The authority, in its 2017 programme of work, has committed to reaching 11,000 inspections, but even this represents a rise of just 540. Mr Collins said what was equally concerning, was the reduction in spending on safety initiatives by the Health and Safety Authority. “In 2016, total exchequer funding for the authority was €1.297m; but in 2015, it was €1.776m,” he said. “Why the sharp reduction? Is it that Fine Gael ramped up the spending in 2015 in advance of the general election and then turned the taps off once the votes were counted? “The minister needs to understand that her role is more than just making jobs announcements.